Given the number of back to back games scheduled for 2016-17, the CBJ need a good winning percentage out of the back-up goalie. I know Bob CAN play in back to backs, that doesn't mean it is wise to play him that way. Last season the goal tending position was very unsettled, and it wasn't until Korpisalo came through late in the year with a solid run of play that there was any stability at the position. Not withstanding my complete whiff on Stoll in the previous post, I think Anton Forsberg is looking to win the competition for back up. McElhinney has looked pretty good, but Forsberg was very sharp against Nashville. Tonight's game ought to be interesting in terms of how this competition starts winding down. If the back up can match Korpisalo's numbers from last year; 31 games, 16 wins, 11 losses, Save Percentage of .920, and a Goals Against Average of 2.60, then we have a good chance of making the playoffs if Bob plays like Bob. That should be a decent way to evaluate the chosen back-ups performance. Playing at least .500 hockey in front of the back up is essential. 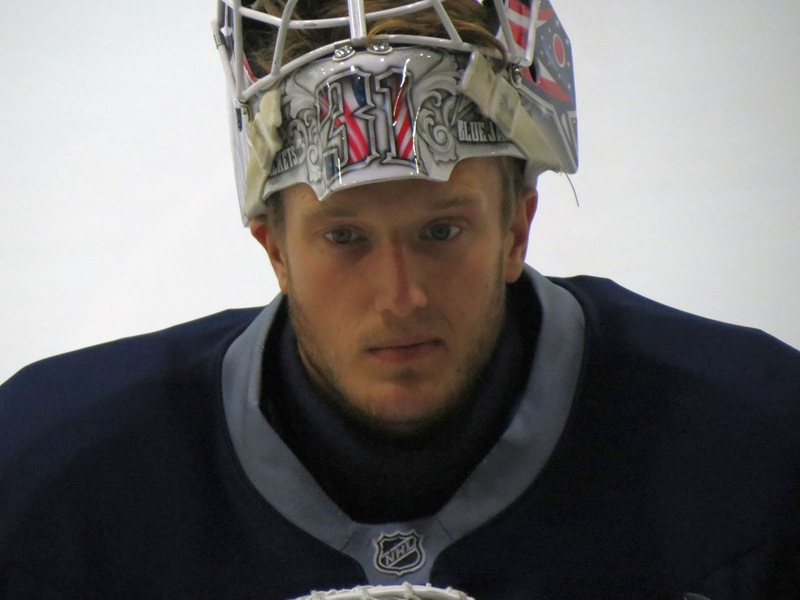 Anton Forsberg established winning as the currency needed to keep the net in his brilliant run in the Calder Cup championship last year. I think he is prepared to capitalize on that this year. It should be fun to watch!